Emergency roadside service is one of the most important services any towing company offers, and Rocklin Ace Towing puts a high priority on emergency roadside help calls. Our tow truck drivers and our dispatch center are both at the ready 24/7 to serve our customers, and that is 24/7 all 365 days of every year. If drivers are out driving, Rocklin Ace Towing is going to be ready to help customers who experience a problem on the road. Day or night, regardless of the weather conditions, our flatbed tow trucks are revved up and set to deliver help to drivers experiencing vehicle problems. To be the best towing company in Rocklin, we know we have to deliver great service, and deliver it quickly for customers needing help, and that is exactly what you will get from Rocklin Ace Towing. Where roadside emergencies are concerned, it is always important to put safety first. 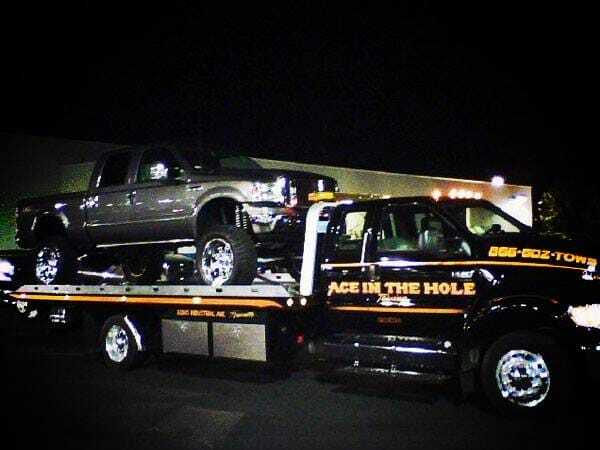 Rocklin Ace Towing will get to you as fast as possible, but don't hesitate to call 911 if you think your situation may pose a danger to yourself, or to others. If there is an injury involved, dial 911 first. Additionally, get yourself and your passengers to a safe location, away from traffic, if your car is stuck or disabled in an unsafe spot. When a first resaponder arrives, carefully follow all of their instructions. Priority number one is keep you and those traveling with you safe. We are ready 24/7 to help you with all your roadside assistance needs CALL NOW for immediate roadside help.